The Dr. Martin Luther King, Jr. Library would like to invite you to their monthly used book sale on March 28 and 29, 2015. Located outside of the Friends Bookstore on the patio at the Dr. Martin Luther King, Jr. Library, you can find a unique and wide variety of books and media available at great prices. 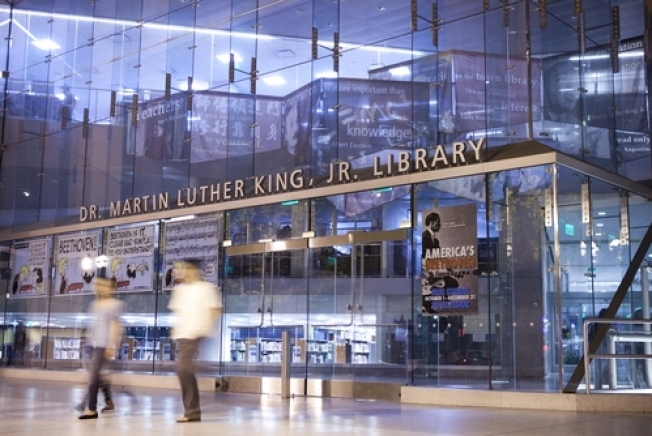 All revenue from the sales are donated to the Dr. Martin Luther King, Jr. Library for a variety of different programs that benefit the community. The sale will be from 10:00 AM to 5:00 PM on Saturday, March 28 and 1:00 PM to 5:00 PM on Sunday. Friends Bookstore will provide bags which you can fill with as many books as you can for just $5.00. For more information, contact the Friends Bookstore at (408) 808-2681 or click here.